Great food, great wine, great cause! That’s what more than 1,800 guests experience at our annual Fall Food + Wine Festival each year. 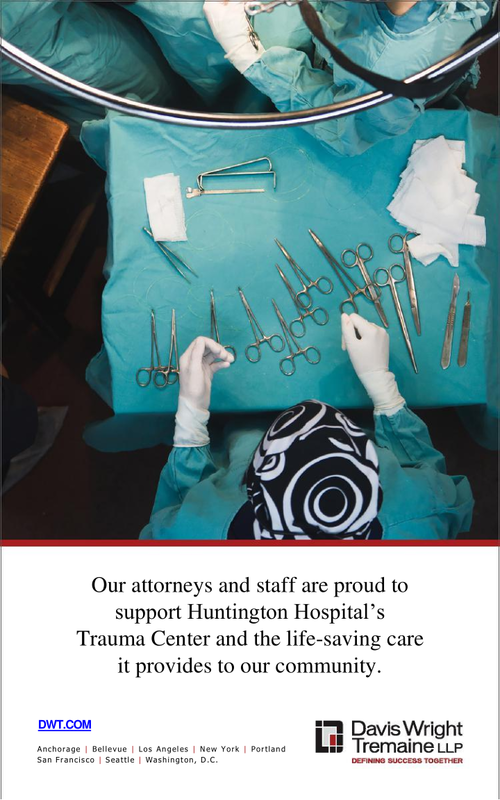 This crowd-pleasing event will once again generate support for the lifesaving work of Huntington Hospital Trauma Center. 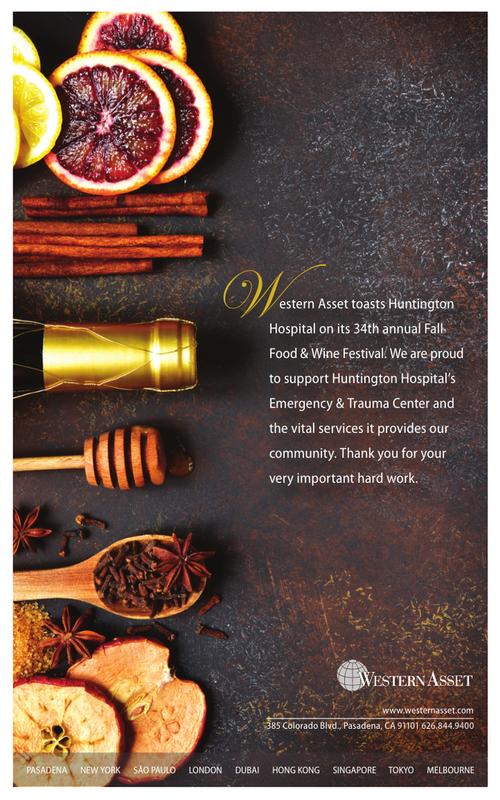 Event sponsors are prominently recognized in our commemorative program book, distributed to festival guests, including physicians, business leaders, major donors and other VIPs. To download a copy of our most recent event program book, simply click here or on last year’s cover image at left. We hope you’ll choose to include an ad or message in the 2018 Fall Food + Wine Festival program book. To do so, simply complete and return the Program Sponsorship Contract form (available for download here). Thank you in advance for your support! For more information, please call (626) 397-3241.